Do you own a home or business in Burbank or the surrounding L.A. area? Have you had unwanted roommates or tenants recently? We’re not talking about humans. We’re talking about little guys that scurry in through holes in the walls, looking for food or ideal temps. We’re talking about ants! Did you know that California is approaching ant season? Soon, ants will be an almost unavoidable problem. During the wet winter months, ants come inside looking for better conditions to live in. They’re scrounging for food and space. And when winter passes, it’s hard to know if you’re in the clear. Dry, arid ground sends them into buildings, too. Ants: they’re like us! They only want some reprieve! Unfortunately, we don’t enjoy their company. If you’re dealing with an ant problem, you need to find an ant removal service in Burbank. Here’s what to do. Like any other big purchases, make sure you’re comfortable with your decision. How can you round out your research? Make sure you’re going with a reputable company that’s happy to display credentials. Most pest control services will offer free consultations. Once you’ve chosen your company, have them come and look at the problem. During a consultation, a professional will identify the ant infestation and its source. They should be able to determine whether the problem will need ongoing maintenance. In this way, you can establish a timeline of services. A professional will answer any questions throughout your walk-through, so speak up! So you feel like you made a great decision with your company — but you still want to double-check your choice? That makes sense because pest removal companies sometimes deal with harsh pesticides. Depending on your ant problem, you may be one of those cases. Improper pesticide use is dangerous for you and the environment. The National Pesticide Information Center offers all the insight you need. They will confirm that your chosen company complies with pesticide regulations. Each company should have a licensed pesticide applicator. The NPIC can confirm this license. As well as confirming the good stuff, they also know if there’s been any complaints or incidents. When you’re checking with references, it’s hard to beat the NPIC. You’ve chosen a company, had your consultation, and established a timeline of service. You’re done now, right? Not exactly. There are many ways you can prep your home or building for the removal service. And of course, keep these good habits up after your servicing. This doesn’t solve the ant problem, but it relieves a bit of the excess. There’s a service for you in L.A. — so why not use it? This way you know you’re getting the safe, smart removal that you need. 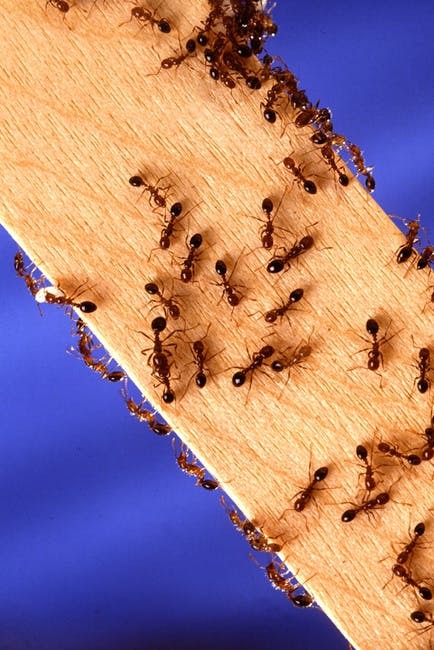 Are you still curious about what an ant removal service in Burbank can do for you? Then check out these top 5 reasons to hire an exterminator.